26 year-old Tyler Childers of Lawrence County, Kentucky has announced details of the physical release of "Live On Red Barn Radio I & II", out via Thirty Tigers on August 31, 2018. This new physical release follows Tyler’s semi-autobiographical debut album, "Purgatory", which outlined Tyler’s development from wayward youth to married man, and was launched to critical acclaim in January 2018. "Live On Red Barn Radio I & II" will be supported with a date at London’s Dingwalls on September 4, 2018. 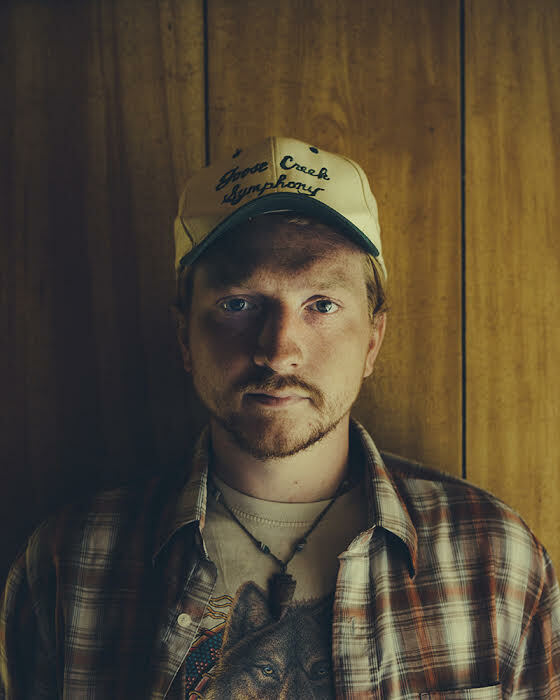 With Volume I recorded on May 29, 2013, and the subsequent Volume II recorded on November 7, 2013, "Tyler Childers Live On Red Barn Radio I & II" captures a young talent on the cusp of something distinguished. Never previously released on a physical format, the dual-pronged live session was reserved solely to digital platforms. Recorded on the renowned Red Barn Radio show in Tyler’s hometown of Lexington, KY, the album comprises of eight tracks altogether with six originals, including the single, "Whitehouse Road", taken from "Purgatory", spreading their weight across the album, with two additional covers making up the rest. "Coming Down", a track that tackles themes of loneliness and drink, originally by John R. Miller of the Fox Hunt and Prison Book Club appears first, before a favorite of Childers’ live set emerges, "Rock, Salt & Nails" by Utah Phillips.